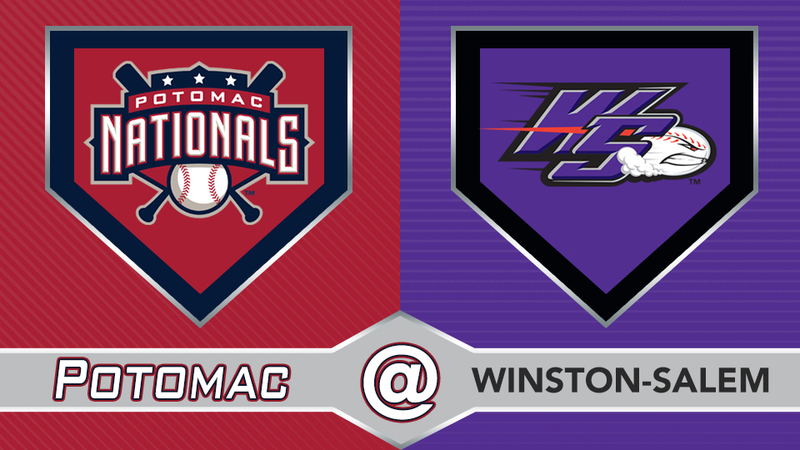 Winston-Salem, NC-The Potomac Nationals (4-6) were stymied by Kyle Kubat and the Winston Salem Dash (5-5) on Saturday night, falling 4-0 at BB&T Ballpark. Winston-Salem added two to their lead in the fifth, getting a leadoff single from Jordan George and subsequent hit from Johan Cruz to put runners at the corners. Raquet coaxed another double play from Daniel Gonzalez, but George came home to make the score 2-0. Luis Robert re-started the rally with a two-out single and scored from first on Nick Madrigal's RBI double to extend the lead to 3-0. The P-Nats wrap up their four-game series in Winston-Salem on Sunday as they send Malvin Pena to the mound against Dash righty Cristian Castillo. First pitch at BB&T Ballpark is set for 2:00pm, and the Potomac broadcast will get underway at 1:45pm with the P-Nats Leadoff Show. You can listen live at potomacnationals.com, at http://bit.ly/P-NatsBroadcast, or on the TuneIn Radio App.